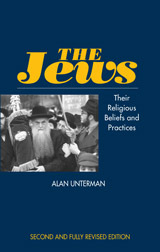 In this revised and fully updated introduction to Jewish beliefs and practices, Alan Unterman demonstrates that Judaism is a living religion which retains the vitality apparent in the Biblical corpus, but which has gone on to develop institutions, modes of behaviour and patterns of thought which together constitute the singularity of Jewish expression. The study as a whole portrays a vivid insight into the great legal, mystical, theological, ethical and ritual traditions which have preserved the identity of the exiled and often outcast Jew, and enabled him to carry the message of the Hebrew Bible into the modern world. Alan Unterman offers a comprehensive survey of the major ideas, customs and movements which have made Judaism what it is. It is also an excellent book for the intelligent reader whose knowledge of Judaism is deficient. The reader who is well versed in Judaism will also find much that is new and provocative.